As much as I try to be an organized person, that does not always happen for me. There are just too many things going on to have everything in its rightful place. I cannot tell you how much time I spend digging through my bag to find my phone, wallet, or the right shade of lipgloss (because we all have 4-5 shades in our bags, right?). All my purses in the past have approximately 3 pockets; a zippered one and two tiny ones whose contents fall out with the slightest tilt of my bag resulting in a jumbled mess and me not being able to find anything.. Enter one of the functional totes from Greg Michaels. There are so many pockets I don't know what to put in them! My purse is no longer a bottomless pit, but organized with everything easily accessible. And the tote is still chic and stylish. I wore this last week when I had somewhere to go immediately after work. I added a bottle of water and snack and everything fit in so well. This could be used as a work bag as well with a pocket for an ipad or other tablet and little pockets for pens or pencils. I love the soft quilted leather, too. It's such a well made, sturdy bag I know it will last me for years to come! 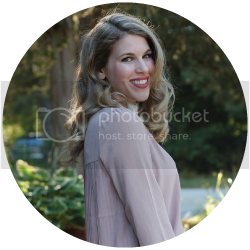 This week we have Hayley from Smarty Pants Fashions as co-host. I love the bit of edge she incorporates in her outfits. And that her outfits are all affordable, too! 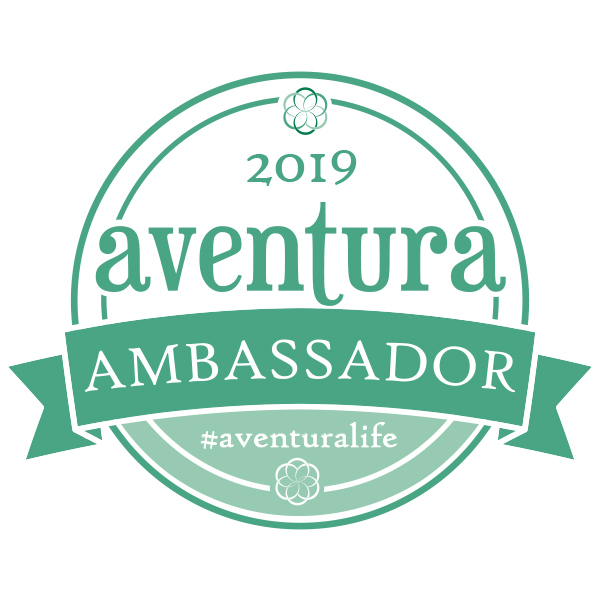 Make sure you check her blog out! linking up with Style Sessions, Walking in Memphis in High Heels and Fashion Canvas, Celebrate Southern, PMT, Shoe and Tell, What I wore, I Feel Pretty, Random Wednesday, Oh Hey Girl, and Whatcha Wearing Wednesday, Thursday Fashion Files What I Wore to Work, Spotlight Weekly, Let Your Light Shine, Happiness at Midlife, The Red Closet Diary I received a purse and some jewelry from Greg Michaels in exchange for a review, but all opinions are my own! I just adore this whole look! The cobalt + black + leopard here is fantastic. And that bag sound and looks wonderful! What a great bag! I love the quilting and the gold chain details! So pretty! The blue is gorgeous on you! 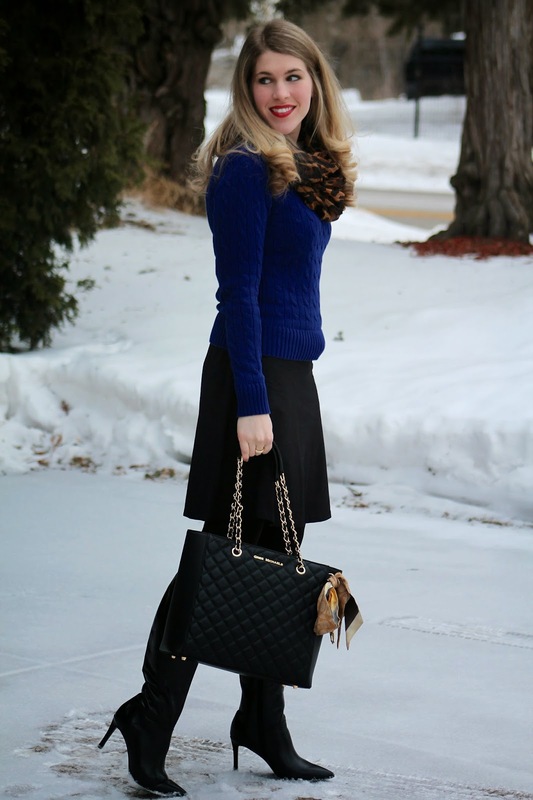 Gorgeous in blue and what a classic quilted bag! 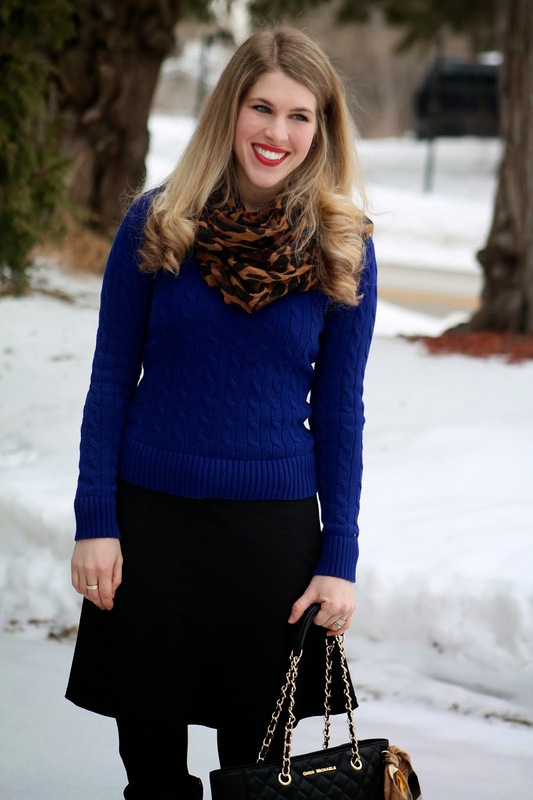 Your leopard print scarf looks really pretty with that blue sweater! Your outfit is beautiful. 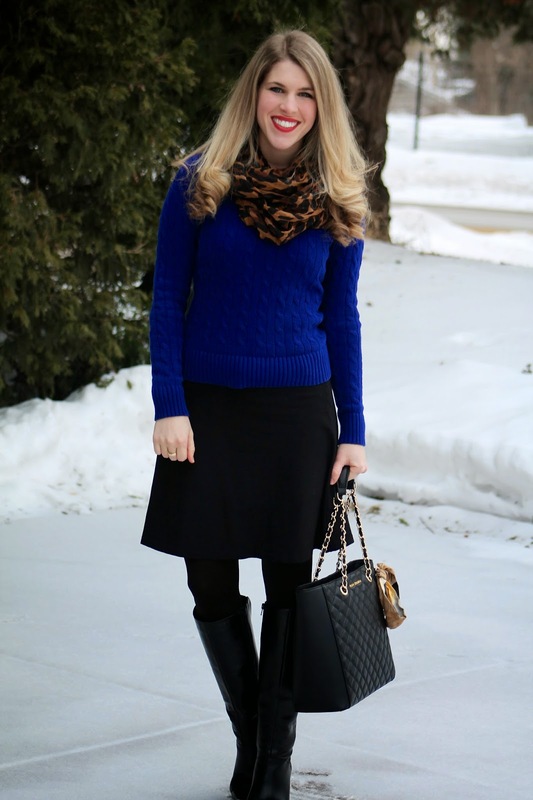 I love the black skirt with the cobalt sweater. And the skirt is such a fun, flirty shape! I love bags with pockets! I especially always look for ones with easy access outside pockets for my phone, and inside pockets that can keep lip glosses in place. You are not alone with the battle for an organized purse! Love your outfit! The bag is gorgeous! Love the swing to the skirt. Definitely a great outfit here. That bag, at first glance looked like a Chanel meets Michael Kors. Great hybrid. Love it. Love the mis of black and blue and your swing skirt is so cute!! Love that pretty shade of blue on you. Love this look! I can totally see myself wearing it. 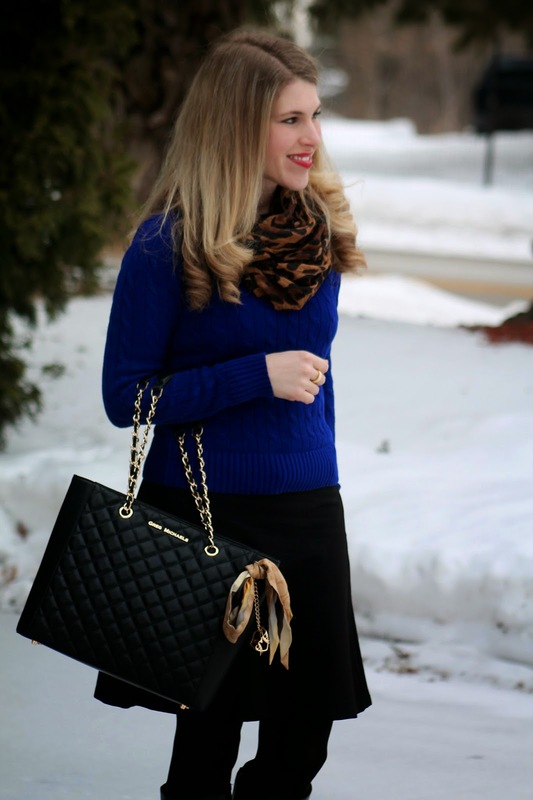 The leopard scarf is so pretty with the blue and black. Love the whole outfit but especially the bag!!! Love royal blue and black combo....hadn't thought about adding leopard but that's a winner! I adore this outfit! Will definitely need to re-create (I feel like I'm saying this to a lot of your outfits lately) ;-) And that purse is SO gorgeous! Very Kate Spade-esque...love the quilting and the fact that it has the four prongs at the bottom to keep it clean! What a very adorable top to toe look!!! Ooooh I love the bag! I am all about bags with pockets - I have actually returned a bag once because it didn't have enough pockets! 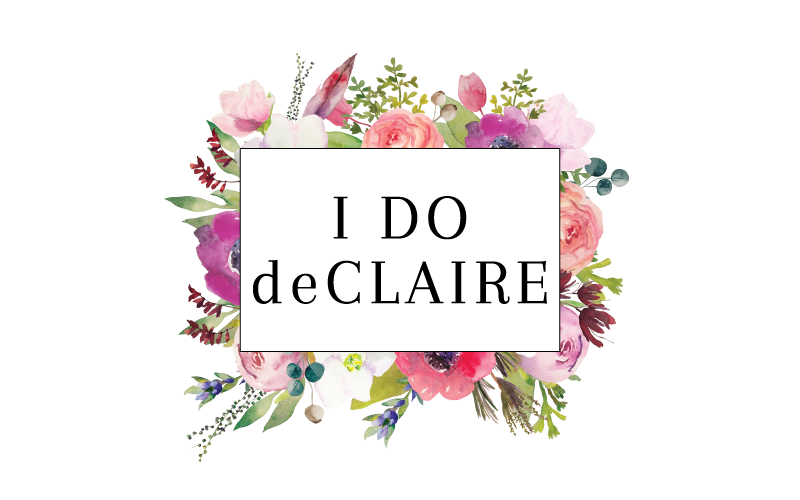 it sounds like it might be a good diaper bag too! I vote for this look! Love the bag, I have one that is similar with quilted black leather, but it is a MK. It goes with so many of my outfits. My purse is just an unorganized mess, I really need to go through it sometime soon. I love this simple outfit and your black boots go nicely with that beautiful purse! I am VERY impressed so far. Their attention to detail is clear, especially when you look at all the pockets and the quality of the materials! I love your blue one! 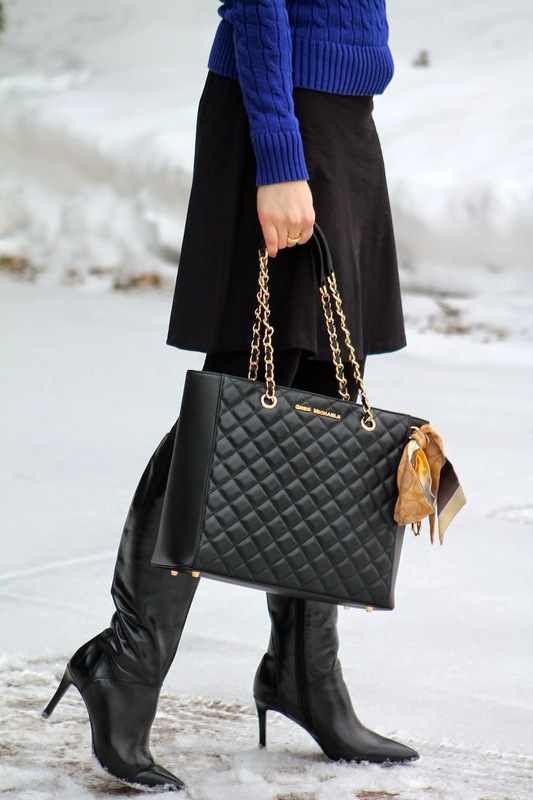 Loving the cobalt blue with the black look and those boots are so great! Thank you for hosting your link up and for linking up with SHOE AND TELL on Style Nudge!! What a great bag! You'll have this for years! Gorgeous look, perfect for the office! I love the sweater and scarf! Amazing outfit. Loving those booties and perfect bag. Looking stunning. Stunning! Royal blue color looks great on you! Aww I want your bag! It's so perfect!! You are stunning!! I love that bag! Your bag is stunning, cable jumpers are just the best. They look and feel great. Love the bold colour! Beautifully styled, Laura! You look stunning in blue and I love the black skirt/boot/tight combo. And your bag is such a classy touch!! Love this! Hi Laura, Beautiufl royal blue on you,and I am a fan of quilted bags. pretty! I love your purse - it's super chic! What a fun tote, Laura! I love a bag with lots of pockets for maximum organization, haha! Also, you look SO great in cobalt! !